You are only able to make ONE application to a Training Contract OR IGNITE OR the Summer Vacation Scheme OR SPARK. Multiple applications will not be considered. You are eligible to apply for ONE open day alongside these applications. 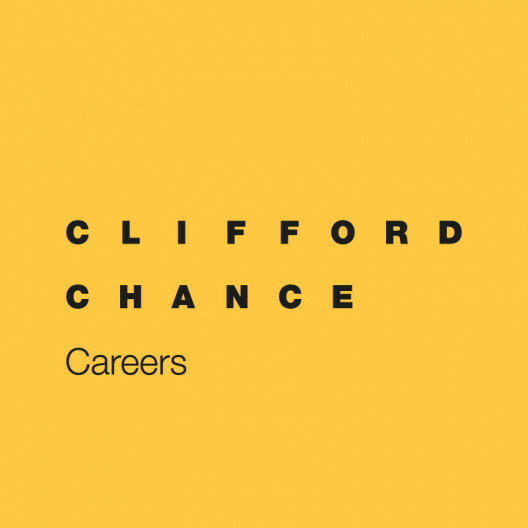 Clifford Chance is one of the world's leading law firms, helping clients achieve their goals by combining the highest global standards with local expertise. The firm has unrivalled scale and depth of legal resources across the three key markets of the Americas, Asia and Europe and focuses on the core areas of commercial activity: capital markets; corporate and M&A; finance and banking; real estate; tax, pensions and employment; litigation and dispute resolution. As a trainee at Clifford Chance you will have the opportunity to spend time in at least four of these practice areas, and the teams that sit within them, throughout four six-month seats. One of these seats could potentially be in one of our international offices or you could have the opportunity to be seconded to one of our clients. During this two year training contract you will be deciding where you would like to qualify as an England & Wales Solicitor. IGNITE is a training contract with a rare emphasis on tech. A new route that’ll take you into some of the world’s most innovative learning environments. No other leading law firm offers anything like it. It’s still a Clifford Chance training contract. You’ll collaborate with and work alongside – and be supported by – the brightest legal minds. You’ll have access to an unusual depth and breadth of experience with secondment opportunities and chances to tailor your development throughout. You’ll be a fully qualified lawyer after two years-and positioned to shape the future. Beyond that, you’ll have the time and space to develop new skills and solutions. To reconsider what tech can do for law. To redesign and streamline the way we operate. And redefine how we deliver the best results for our clients. Underpinning this exposure to the best work available, you will receive learning and development support from the Clifford Chance Academy, arguably the legal sector's leading in-house learning and development facility. Our legal training professionals deliver an array of interactive workshops and knowledge initiatives to ensure you are constantly developing both your technical legal and commercial skills, not just during your training but throughout your career. Throughout your training contract, you will be closely supported, both informally and through formal mentoring, with advice and guidance from the graduate development team and a dedicated supervisor on each seat. No prior legal experience is required, however we do expect our trainees to be astute, curious, organised, have a strong academic background. Applicants to IGNITE might have studied computer science. Or taught themselves to code in the evenings. Or be developing an app on the side of their law degree. The only thing you must have is an excitement for what the meeting of law and tech can spark. IGNITE is open to Law and Non-Law students. If you have not studied a qualifying law degree (as specified by the SRA) then you will be need to complete a Graduate Diploma in Law (GDL). All students will complete a LLM Commercial Legal Practice (LLM CLP) prior to starting their training contract. Both the GDL and LPC will be funded by Clifford Chance and we will provide a maintenance grant to use during your studies. Applications open on 1st August and close on 16th December. We do not recruit on a rolling basis and we do not review applications until after the deadline has passed. When making an application you do not need to upload a CV and covering letter as we only review the information in the application form. If you would like to upload your CV to auto-populate some of the application then you will be able to but this will not be reviewed. PLEASE NOTE THAT YOU DO NOT NEED TO ATTACH A CV AND COVERING LETTER. YOU CAN UPLOAD YOUR CV (AS INSTRUCTED) TO AUTO-POPULATE YOUR APPLICATION BUT THIS WILL NOT BE REVIEWED AS PART OF THE SCREENING PROCESS - WE WILL ONLY REVIEW YOUR SUBMITTED APPLICATION.